Die mededeling helpt niet echt, ze moeten niet raar kijken, wanneer ze plotseling een rode fiets hebben. The guy who blogs at ShooTTokyo (not on WordPress) has a whole collection of photos of bikes parked in front of ‘no bike parking’ signs. I like your background. Sooooo unlike Canada. 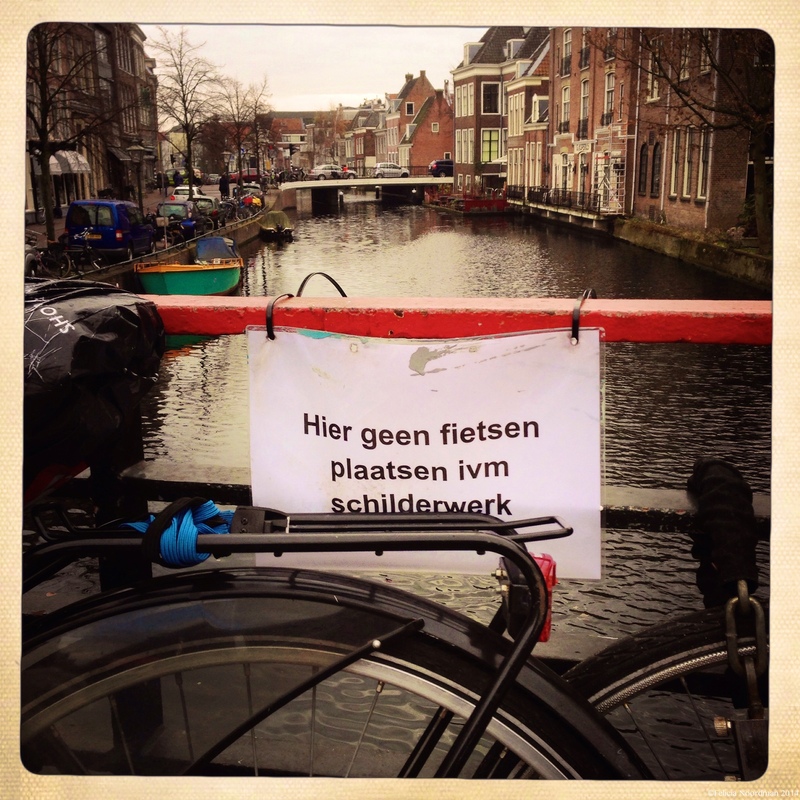 So it’s YOUR bike, and not really parked, but just loading (a photo)!